This diesel powered Mercedes Class B motorhome rental offers a unique split level design. This model gives you maximum headroom in the living-room, while still offering storage throughout its entire floor plan. 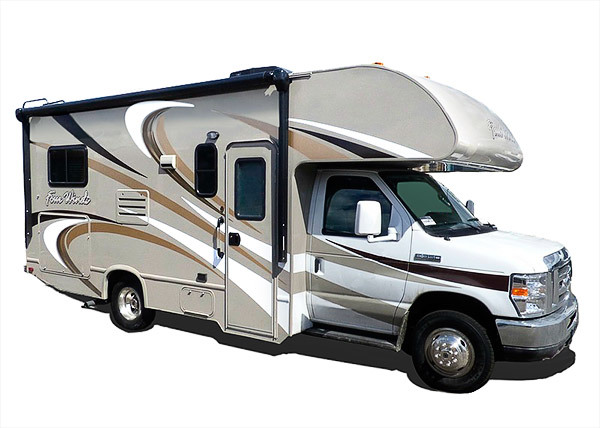 This motorhome rental, approximately 24′ in length, features many well-designed amenities to enhance comfort and enjoyment. These inlcude a Dream Dinette, a rear queen-size bed, a cozy cab-over bunk, an extended flip-up kitchen counter top, as well as a 32″ LED TV on a mounted manual swivel. 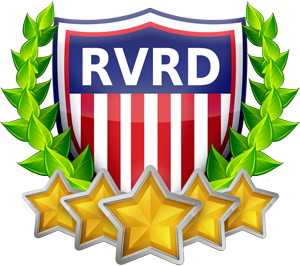 As a result, this motorhome has been approved and rated by RVRD, a nationwide network that certifies RV dealers above industry standards. Based off of RVRD requirements, this Small Class B motorhome rental acquires a 4.5 out of 5 star rating. In addition, this unit is “Certified Green” by TRA Certification standards. The Small 24′ C Class motorhome sleeps 2 adults and 2 children. 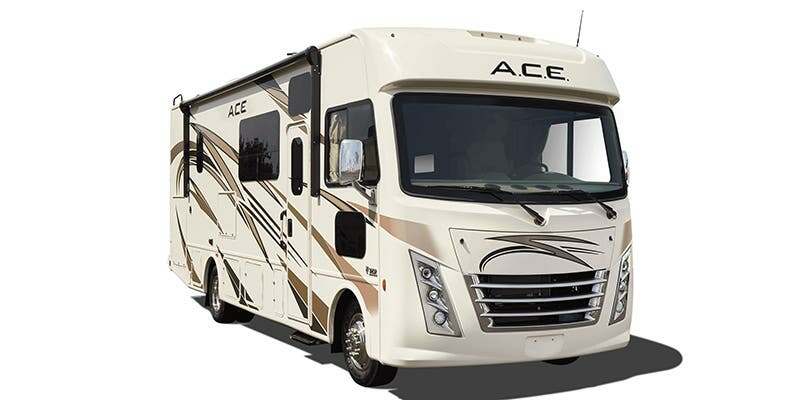 This motorhome offers an unique split level design that gives you maximum headroom in the living area, while still offering pass-through storage. This Medium 28′ motorhome sleeps 3 Adults, 3 Children. The Medium C Class motorhome is a great mid size alternative to the small C Class and the large C Class. 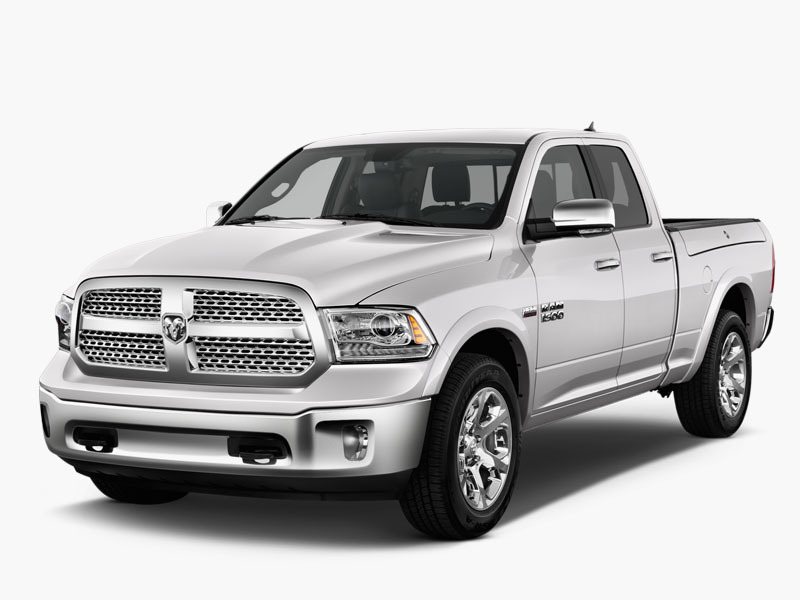 The compact size is great for maneuverability, but still has the extra room a slide out provides. This Large 30′ C Class motorhome sleeps 4 adults and 4 children. 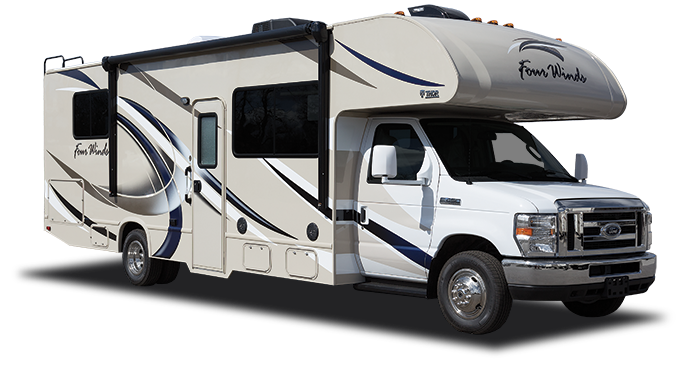 New to our Access RV fleet with 3 zone living. Great for large families or for 2 small families traveling together. 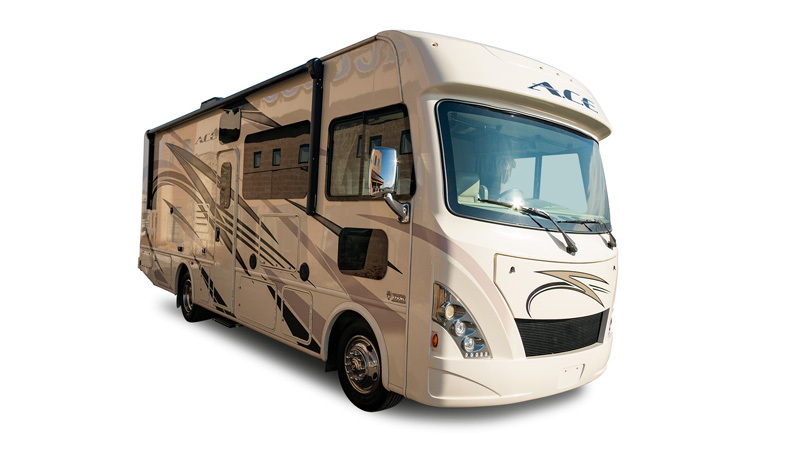 Access RV has provided the newest, cleanest, best equipped RVs in the state for over 20 years. This A Class 30′ motorhome sleeps 3 Adults and 3 children. The crossover motorhome combines the best features of a family friendly, easy to drive Class C with the space, convenience and styling of a Class A motorhome. 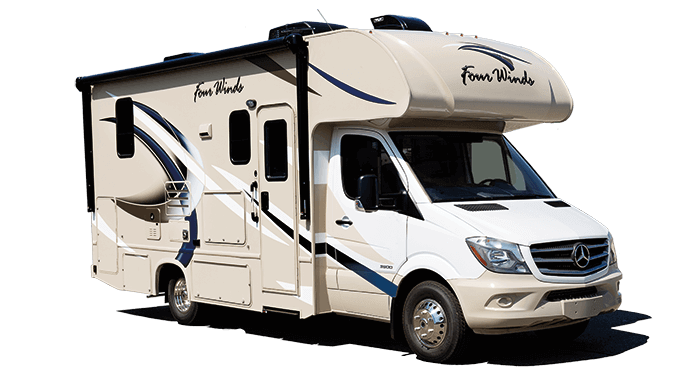 The Large 30′ A Class Bunk crossover motorhome satisfies the wants and needs of all Class A and Class C motor home renters. Sleeps 8 and will fit in any campground. 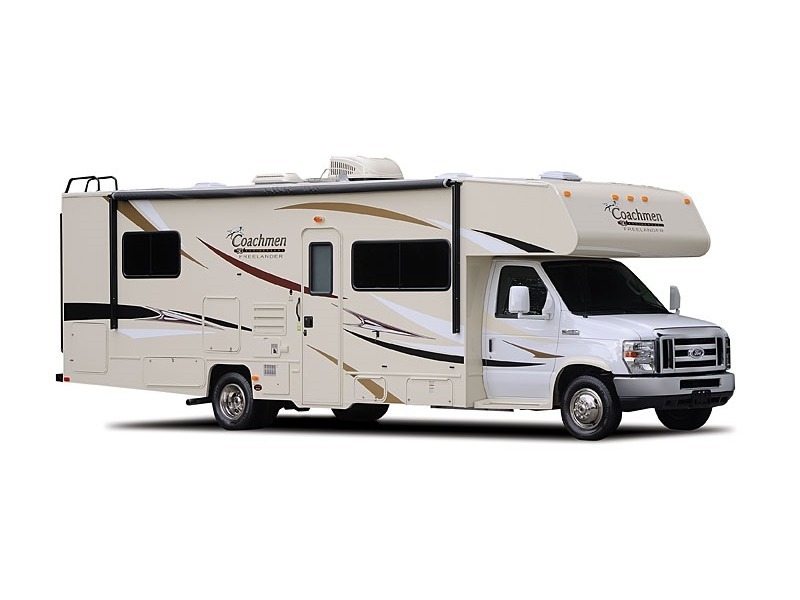 The Large 34′ Class A motorhome satisfies the wants and needs of all Class A and Class C motor home renters. Sleeps 8 and will fit in any campground. This 12′ travel trailer is perfect for couple camping. With it’s ultra lite design making this towable with a small SUV. The Queen-size bed allows this unit to sleep up to 2 people. Weighs 1164 lbs. 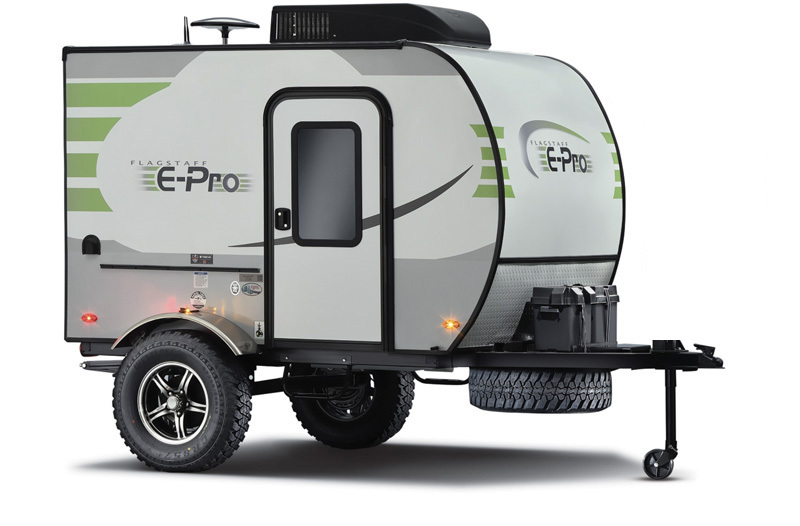 This 17′ camper travel trailer is perfect for a family trailer with it’s ample sleeping and ultra lite design making this towable with a small SUV. The Queen-size bed allows this unit to sleep up to 6 people. Weighs 3,100 lbs. 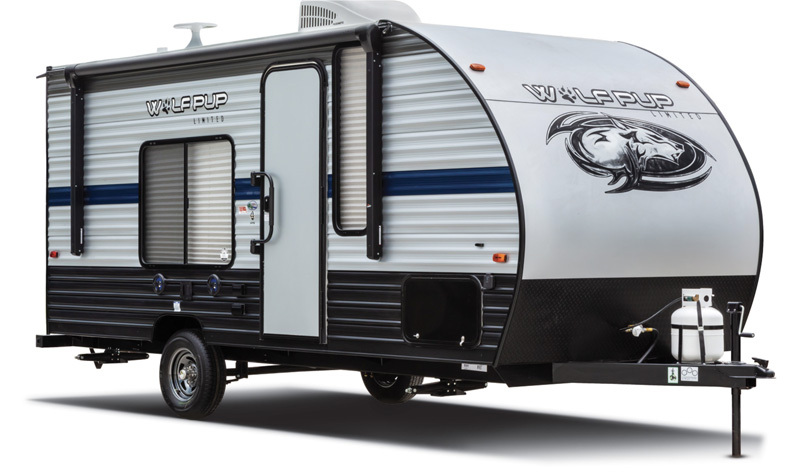 This 24′ mid-sized camper trailer features sleeping for 8 people with a walk-around queen bed, double bunk beds, and a cafe dinette that also transforms into a sleeping area if need be. Weighs 4,500 lbs. This 27′ Travel Trailer w/ slide out features an Island Queen walk around bed with side wardrobe and overhead storage and has room to sleep 8 to 10 people. Weighs 5,722 lbs. Is It Hard Driving An RV? Our fully-equipped fleet courageously boasts the latest models of 5 Star Rentals in both travel trailers and motorhomes. While other companies offer older RVs with too many miles to count, our selection consists of only 2016 models or newer. Each RV is equipped with high-end amenities to ensure your utmost comfort. Our RV rental fleet is updated every year with brand new vehicles so you don’t have to worry about a thing. Relax with upgraded mattresses, high-definition video systems, automatic awnings, back up cameras, and more. Not to mention, we have a surplus of optional equipment to fulfill all of your traveling needs. If navigating a motorhome seems like a daunting task, scout the area’s valleys and mountain ranges from the comfort of your own vehicle with a trailer rental in tow. 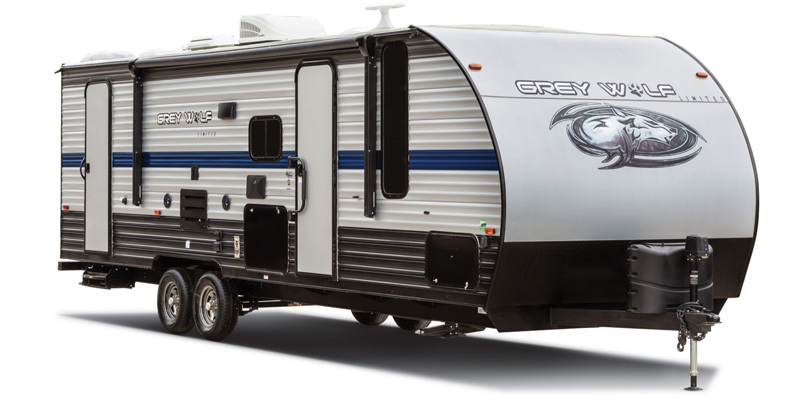 Just like our 5 Star rentals in motorhomes, every year we purchase a new supply of 5 Star rentals in travel trailers for our Salt Lake City RV rental fleet. Other companies let the mileage add up, but we like to save those miles for you. The last thing we want to do is put a limit on your discoveries. For over 20, our 5 star rentals have been perfected in how to prepare you for the trip of your lifetime, and we are ready to show you why we are the best. 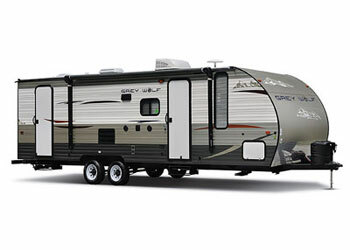 Access RV has two convenient locations to provide the best RV rentals for you and your family. Our main office is in Salt Lake City. From Salt Lake City we proudly provide the USA 5-Star service you expect and deserve from 5 Star rentals. In addition to quality service, we have a well-planned vacation planning guide with awesome vacation ideas. Also, check out our orientation videos and frequently asked questions for further information. Get started by calling us at 801-936-1200, or get a free RV rental quote online so you can hit the road! 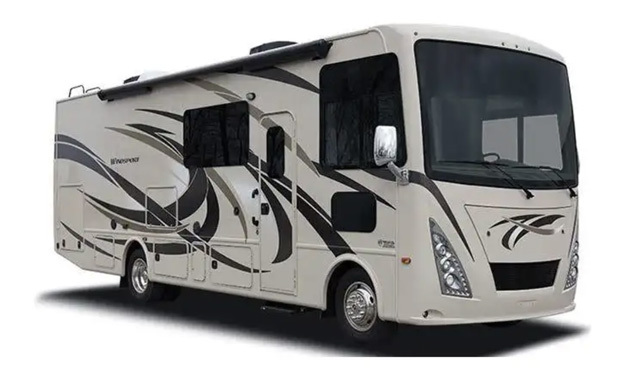 The details on this site, including floor plans and specifications, are representative of an RV category and are intended as a guide. Every year, Access RV purchases current year models of motorhomes and travel trailers and cannot guarantee exact specifications and layouts. Although we try to accommodate our customers as best we can, Access RV reserves the right to substitute similar or higher-rated vehicles. We will, however, continue to offer the best available equipment for the category selected.